In a niche in the Temple of Pleasure the Romans kept the statue of one of their most mysterious and ancient deities - Angerona. She was the goddess of sadness and silence which have marked the lives of abused women since Classical Antiquity and before. This is the story of Lucretia - a woman who broke that silence. This story has been told and retold by Classical writers including Livy and Ovid and spread throughout Europe until it was taken up by Shakespeare himself, the great master of passion, blood and dark comedy. This daring adaptation mixes the best of contemporary storytelling with Shakespeare’s own text,live music and a visual theatricality. Paola Balbi and Michael Harvey are leading performers and teachers in the contemporary European storytelling revival and have joined forces to cross boundaries between cultures and art-forms. This collaboration has grown out of three years of experimentation and discussion during a number of international projects. The performance is available as an hour long piece with live music by Davide Bardi with the options of both skills-based and issue-based workshops. Angerona, the Secret Name of Rome. Performance in the Appian Park, Rome. 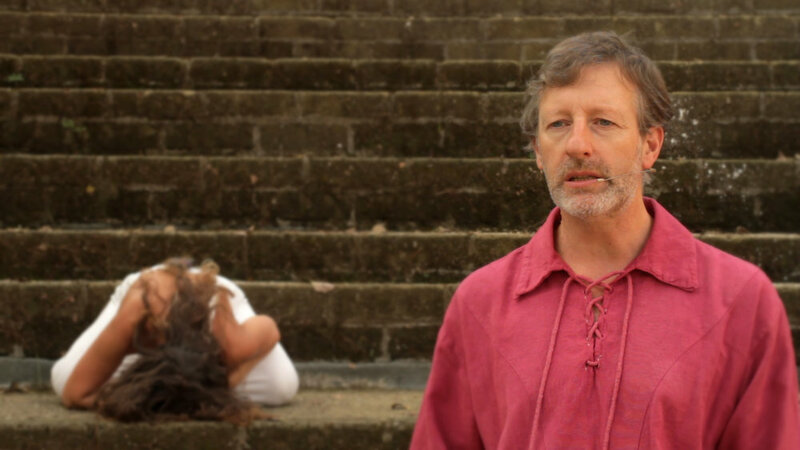 Shakespeare, Ovid and contemporary storytelling with live music.